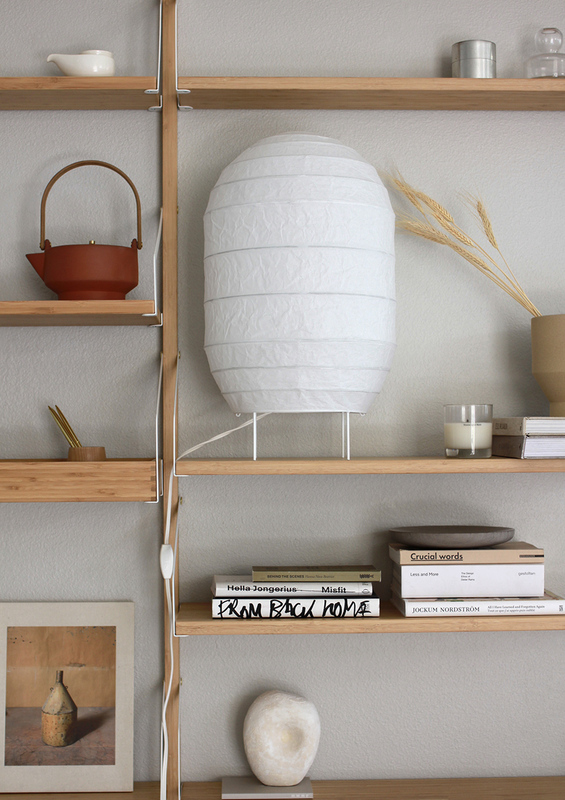 And so, we gladly welcome IKEA's Svalnäs shelving into our home, which is made from renewable bamboo. It's not going to single handedly save the planet but it is a step in the right direction to put our efforts and support towards material that can be easily replenished. 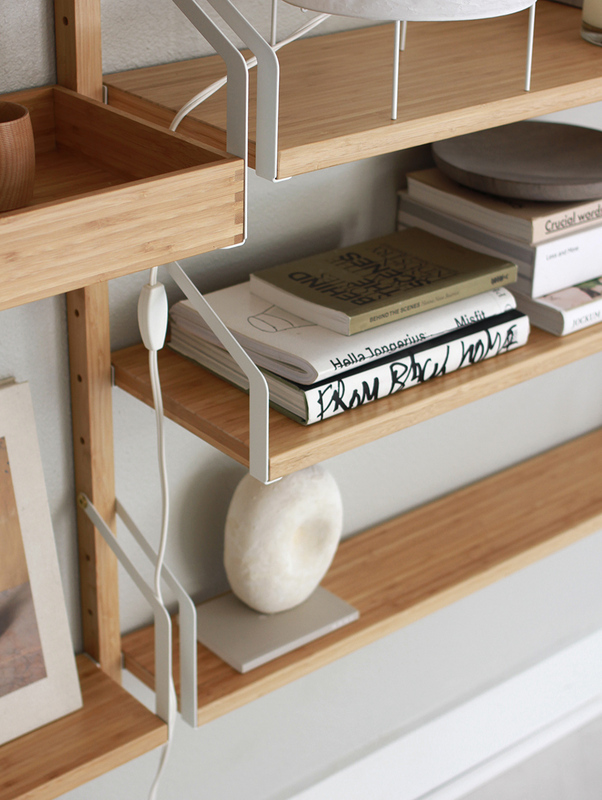 The system is composed of shelf components of various widths and depths, a desk and drawer with recessed dividers. The entire unit is very light weight and best of all, fully cusotmizable. The tracks the shelves hang from come in differing lengths so each section can be customized vertically and horizontally. 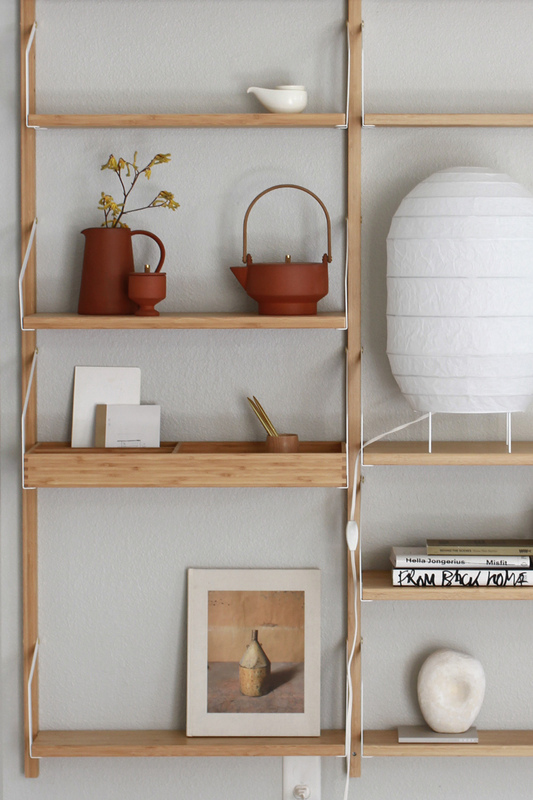 At home this storage system is used to hold overflow kitchen items, books and a paper lamp Storuman, also from IKEA. I chose low profile shelves with a shallow depth because our funny angled wall leads into the living room and I didn't want to obstruct the view. 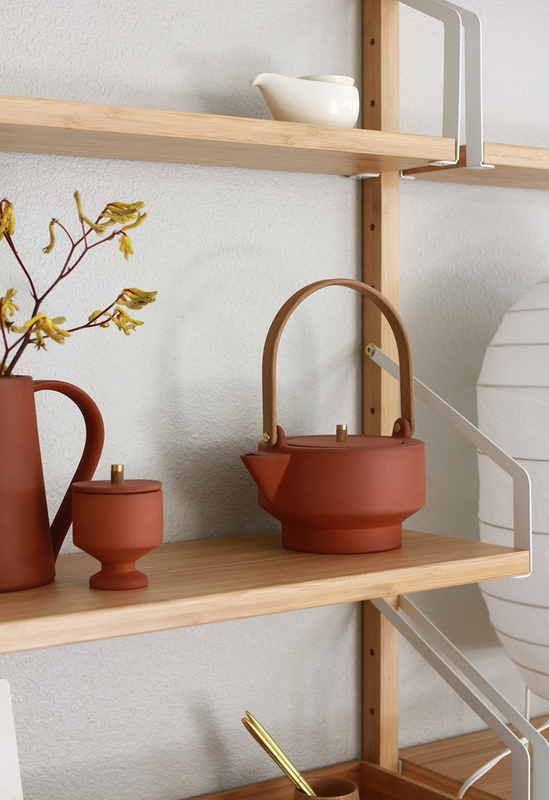 These can easily accommodate a single vertical sets of shelves or continue on across a very wide wall. 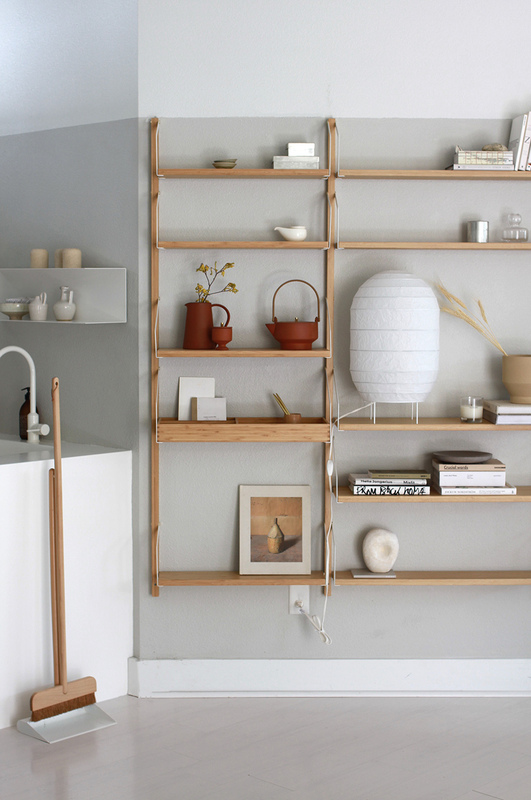 It's also nice to add some warmth from this Svalnäs unit to our monochrome kitchen via this adjacent wall. I like this exact combo, do you know which pieces make it up?